Following the launch of its new bursary programme last year, ACS International Schools has now confirmed 18 bursaries to children aged 11+, 13+ and 16+ at its three UK schools in Cobham, Egham and Hillingdon for the 2018/2019 academic year. The bursaries include 13 full awards, with four students aged 11 receiving complete funding to attend ACS International Schools for seven years. In total, these bursaries represent a £2.2 million financial commitment by ACS over the next seven years for recipient students. The awards are made as ACS transitions to a charitable entity and significantly increases its investment in charitable endeavours. Bursaries were offered to students who would benefit most from an ACS education, including the world renowned International Baccalaureate (IB) curriculum, and do not have the financial wherewithal to attend the school. All bursaries were awarded on a means-tested basis and, dependent on each student’s individual circumstances, ranged from twenty per cent to 100 per cent of the schools’ fees. “I used to pass ACS Hillingdon every morning on my way to my old school and wonder what it would be like to attend. After I received my place the school did not disappoint. 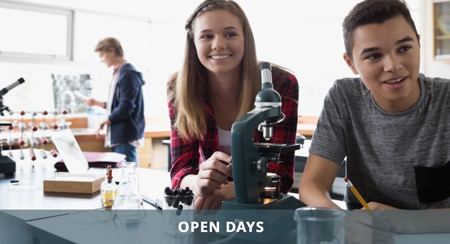 Anyone interested in finding out more about ACS International Schools should register for an open morning at www.acs-schools.com/opendays.